Girls are very passionate about their look and skin. Thus, they prefer to buy beauty products that don’t have harmful effects on the skin. However, more than its effect on the skin, the brands and how such make ups will look on their face usually matters more. Today, I found two interesting brands that offer these three benefits on a woman’s skin and look – effective, trusted brand name and safe to use. Avon and Revlon are two known brands trusted by women all over the world when it comes to protecting the skin in using make-ups without losing the glow. 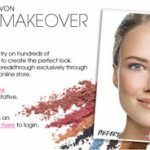 Both Avon and Revlon websites offer a way to see if their new colors/products will look good on your face virtually. Given the fact that these two brands have make up ingredients that are not harmful on the skin, you only have to worry about the color that will blend your face. The convenience of this try-out is readily available as long as you are connected in the Internet. 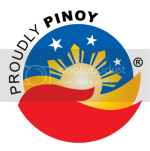 It can also take out the hassle of mix and matching colors and removing them when you don’t like it. 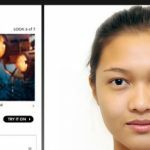 Through this virtual make over, you can upload your own picture, try some colors on and then erase it when you’re not satisfied. This is also an interesting way to convince you that such color will look good on your face. If you’re hesitant to use your own picture, you can also choose from the wide variety of different model faces to put your experiment on. Ready for the new you? Get the virtual make over today!